Aylesbury Woodlands lies on the eastern flank of Aylesbury immediately north of the A41. The circa 220 hectare site has been identified by BTVLEP as a significant opportunity for future growth in Aylesbury and Buckinghamshire. 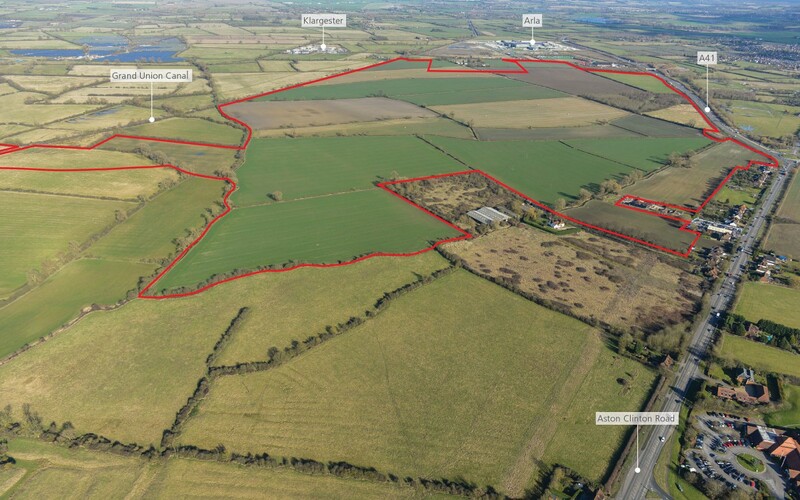 It is intended to deliver a mix of commercial, leisure and residential development on the site as well as the southern section of the Eastern Link Road that will provide a legacy for Aylesbury over many years to come. In addition, Aylesbury Woodlands is a high quality sustainable scheme designed to achieve exemplary standards of design within an extensive green infrastructure framework including parkland, community facilities and sporting facilities. The public will have well publicised opportunities to view and comment on the Aylesbury Woodlands scheme prior to the submission of a planning application. The first public consultation events will take place on Saturday 11th July at Anthony Hall, Aston Clinton between 10.00am and 4.00pm and Friday 17th July at Holiday Inn Aylesbury, New Road, Weston Turville between 2.00pm – 7.00pm. The design and delivery of the Eastern Link Road (South) will form part of the development. The road will improve north south connection by providing the missing link between the A41 and the A418 and provide a radial route to the east of Aylesbury. Masterplanners, ecology, landscape, heritage, drainage, transport, air quality and noise specialists are all contributing to the Aylesbury Woodlands scheme. It is anticipated an outline planning application will be submitted to Aylesbury Vale District Council later in the year. Members of the public will have opportunities to comment on the proposal through a series of public exhibitions and with their community representatives. Peter Brett Associates, with Environmental Dimension Partnership, have through the Homes and Communities Agency Multi Disciplinary Framework, been appointed by Buckinghamshire Advantage to assist in the planning and design of the proposal.